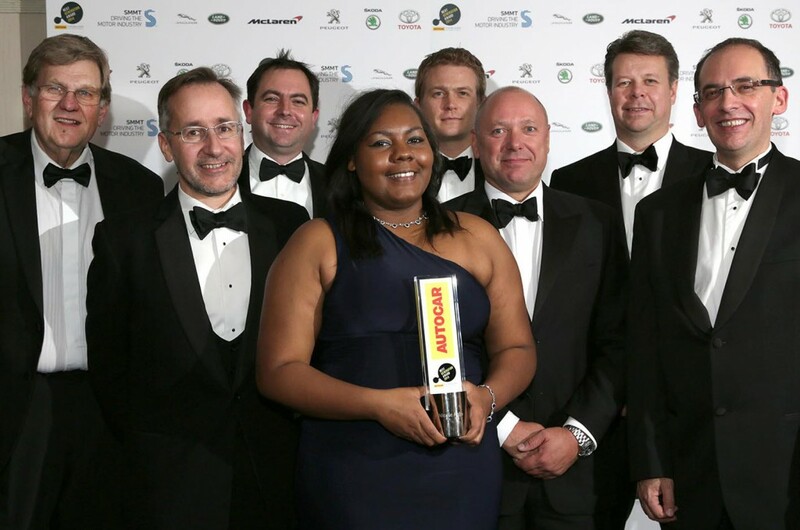 2014 Graduate Nicole Agba has won the prestigious Autocar-Courland Next Generation Award. Nicole was crowned the winner at The SMMT (The Society of Motor Manufacturers and Traders) annual dinner on Tuesday 25 November. Nicole’s winning entry to the design competition was a concept for a biometric steering wheel that could put an end to drink-driving, immobilising the car automatically if drivers are over the legal limit. It also detects signs of fatigue, anger or nervousness, using smart fabrics to monitor the driver’s heart and respiration rates. Nicole’s prize includes 2 week blocks of work experience with the five main sponsoring companies: JLR, McLaren, Peugeot, Skoda and Toyota, as well as a cash prize of £7500.